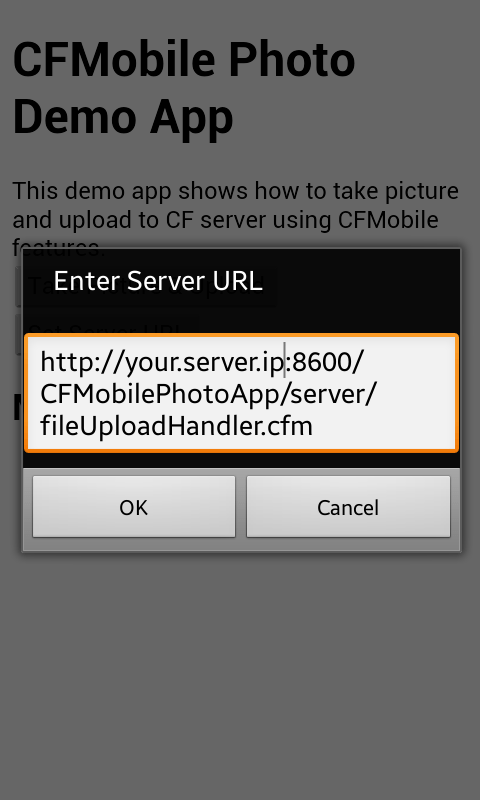 In my previous post, Simplify Mobile Application Development Using ColdFusion, I posted a video that showed how easy it is to create mobile application with CFMobile features of ColdFusion Splendor (Server) and ColdFusion Thunder (IDE). In that video I created a simple app called ‘Simple Expense Tracker’. But the code was not optimal, because the main purpose of the video was to show you features of CFMoible. I also mentioned that I will post a better example of the same app. Public beta of next versions of ColdFusion Server (code named Splendor) and ColdFusion Builder (code named Thunder) were released yesterday on Adobe Labs. I have been closely involved with implementation of some of the features in both Splendor and Thunder, specifically Mobile features in Splendor and editors in Thunder. PhoneGap 3.0 was released this year in July, but I hadn’t given it a try till a few days back. 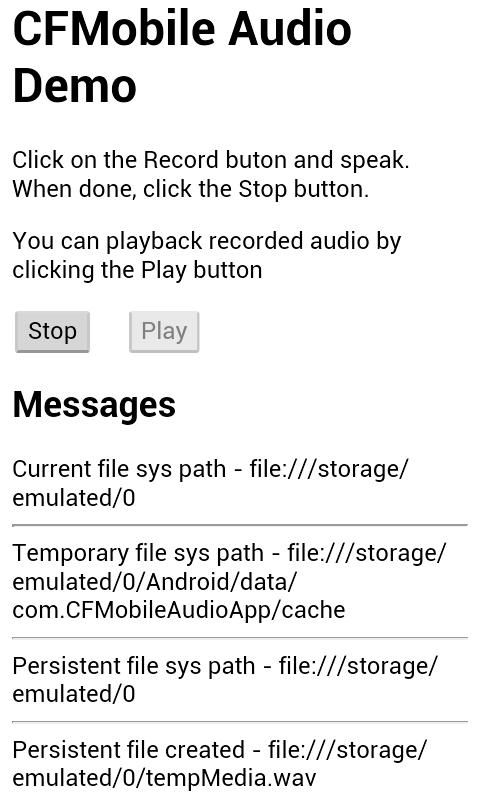 I had to start a new PhoneGap project using the latest version (PhoneGap 3.3). There have been significant changes in the way PhoneGap is installed and project created since PhoneGap 3.0. These changes have been very well documented in the official PhoneGap documentation and various blogs. So installing and PhoneGap 3.3 and creating the first project was a smooth experience. 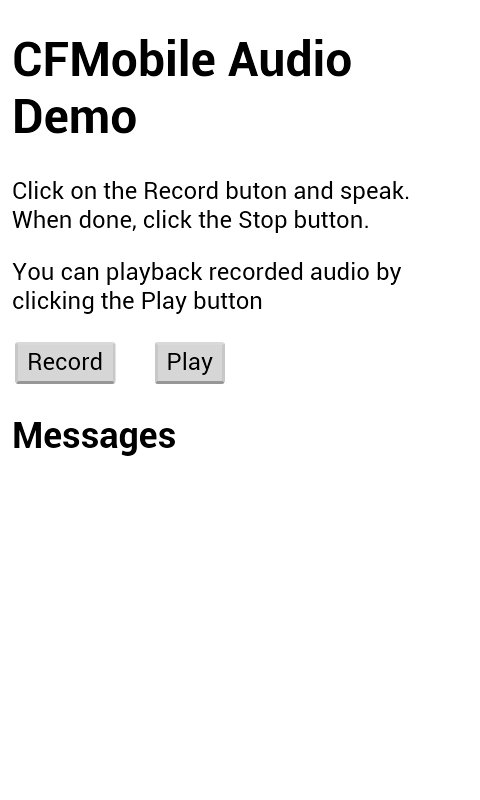 I am working on an iOS application where I want to use PhoneGap as well as a native iOS View. I want iOS view to be the first page from which user can navigate to a view created by PhoneGap. I have developed iOS applications either completely using PhoneGap or native APIs, but never tried to use both in the same application. So figuring out how to do that took some time and I thought I would share that here. By the way, if you want to embed PhoneGap WebView into existing iOS project then follow instructions at Embedding WebViews. In this post I am going to explain how to embed native iOS view into a PhoneGap project and set it as the initial page. I am back to writing blog after a gap of nearly two months. 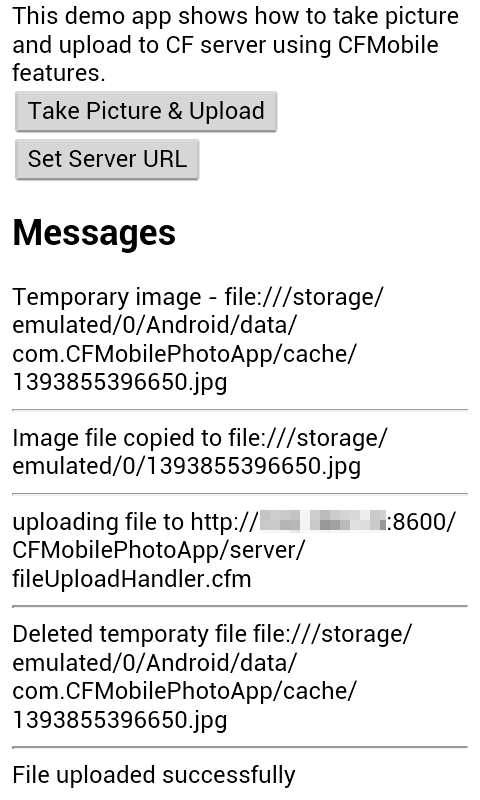 Past few weeks had been very busy working on new features of ColdFusion and creating a mobile app for CFSummit2013 . I along with my colleagues Asha and Rakshith had been working on this app for nearly a month, though not necessarily full time. There were two main reasons for building the app 1. to use mobile features of next ColdFusion releases to provide feedback and catch bugs 2. to create a useful app for the attendees of CFSummit. I don’t know if attendees would find the app useful (I certainly hope so), but we were able to provide a lot of valuable feedback on ColdFusion mobile features and catch many bugs. The application took more time than it should have, because the mobile features of ColdFusion were still under developement. We would hit a bug and would have to wait (if it was a blocking issue) till it got fixed. In many case we did try to work around issues. But the whole process took a lot more time. 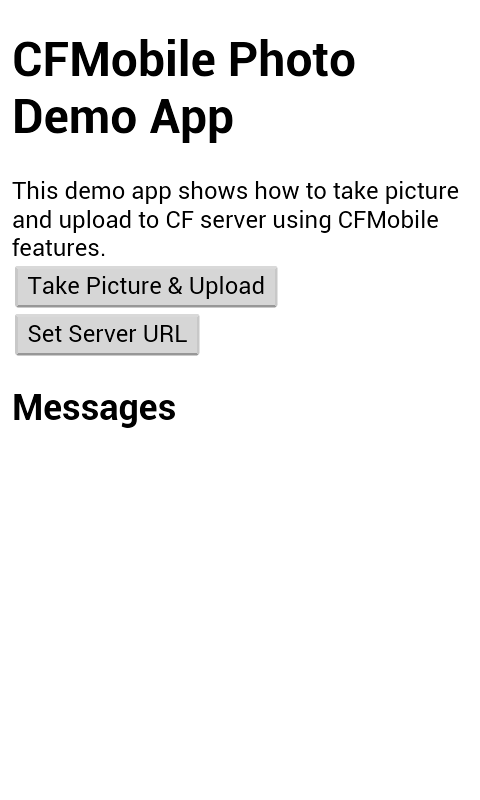 But this post is not about mobile features of ColdFusion and how they were used in the CFSummit app. I am going to talk about my experience in creating HTML5 UI for this app, the issues we faced and lessons learnt. Some of the UI issues are still unresolved. Along with new mobile features of ColdFusion, this app is developed using JQuery, Bootstrap3, PathJS, JQuery Raty, Cordova (PhoneGap) and PhoneGap Build. I wanted to create an application which I could use to run my other PhoneGap applications for testing, a kind of wrapper or shell application. When you are developing a PG application, you are changing you code frequently and running the application again and again in the emulator could be time consuming (actually it is very slow for Android, but iOS is quite fast). So this week I create a PhoneGap application which can take a URL of my PhoneGap application hosted on my development server and run it. The shell application is like a regular web browser where you enter the URL to open the page. However you cannot execute PhoneGap applications in a regular mobile browser (such as Safari and Chrome) because PhoneGap specific native libraries are not available. So I can now create my PhoneGap applications, deploy it on a web server and open the link in my PhoneGap shell application. If I modify the application, I just refresh the page in the shell application. So testing is faster.